As part of my training for becoming a Retirement Life Coach, I was exposed to some interesting theory on how we think and act, which then evolved into the hypothesis that we have innate strengths at each stage of the thinking/acting process. Here’s a short synopsis of personality functions through the thinking/acting process from the book Discover Your Spiritual Strengths by Dr. Richard P. Johnson. The theory presented is that at each stage of the thinking/acting process you have an innate strength that when combined together shows up as your unique personality. I guess that I am still in the Liberation and Self Discovery phase of retirement (Age Wave/Merrill Lynch Retirement survey) as I found this work on the thought process fascinating for my self-discovery! How we think/act: There are 6 steps of the thinking/acting process that happen so quickly we are often not consciously aware of them. Beliefs – our values, attitudes and beliefs form the foundation of our personality and behavior. Perception – how we “see” the world – from people to events, using our 5 senses and our intuition. Evaluation – the cognitive connection between beliefs/values and perceptions – assessing, analyzing, making sense of the perception. Feeling – the emotions created from the cognitive thought – whether positive or negative. 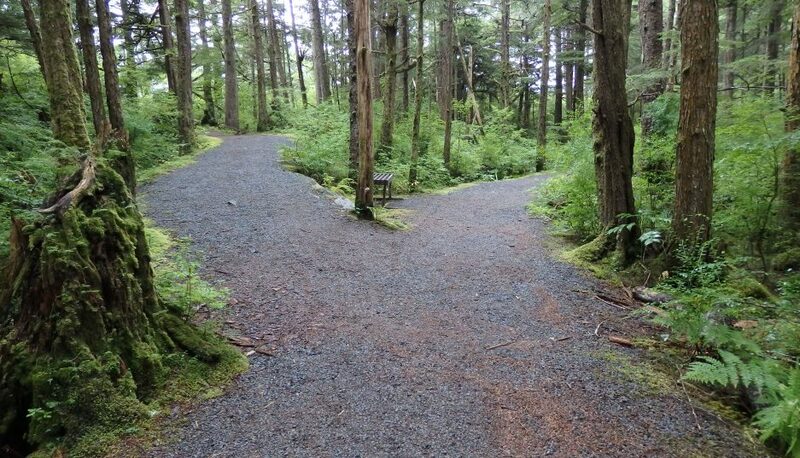 Decision – making a choice based on the information, notably the cognitive thought and emotion created from it. Action – the observable behavior of the choice made. My self-discovery journey in the early stage of retirement transition has been about understanding my values/beliefs, learning how to be aware of my emotions, making choices, and taking action. The overlap in this thinking/acting hypothesis was mind-blowing, hence my delving into the next aspect, understanding my innate strength at each step of the thinking/acting process. Another core premise, similar to other work I have read on strengths, is that every strength brings with it a potential downside. Your strength has both a “shadow” side based on under-using the strength and a “compulsion” side of over-using the strength. You will lean towards shadow or compulsion sides based on your reaction to stress/fear or how you self-sabotage. The understanding of your strength with its corresponding shadows and compulsions does not mean the shadows and compulsions ever go away. Rather, it aids in awareness of when you are not in the zone of using your strength optimally. Being aware of how you self-sabotage is helpful when you are in major transition! I took the on-line test to identify my strength at each step of the thinking/acting process. I could possibly have read the corresponding shadows/compulsions to identify my strengths as well – they were quite accurate if I was being honest in how I think/act! It was in looking into the shadows/compulsions that I really saw myself. It was motivating to see that some of my tendencies of self-sabotage are in fact linked to a strength I am most likely not optimally using. Lately I’ve been struggling with a bit of inertia… not taking action. I have a list of things I want to do – linked to my interests and passions – and that list doesn’t seem to be getting any check-off marks. Inertia is a shadow of Self-discipline, one of my strengths. It’s probably also why the inertia “bugs me”. So now I can look to my strength of self-discipline to make some decisions. Is this choice something I really want to do or not? Am I being realistic in how to approach the activity? How can I break the activity down into manageable action steps? How can I be more positive about being a beginner in the new activity? This year I have been very focused on increasing my happiness – becoming more aware of my emotions, looking for joy in the moment, practicing gratitude. It was a surprise to me that Gratitude was my strength in Feeling. It was in the shadow I saw an almost perfect description of my pre-retirement self! In the next few weeks, I will be looking more deeply into each of my 6 strengths, especially the shadows and compulsions, to see if I am truly using my strengths effectively in this next stage of my life. This exploration of how I think was a fascinating delve into Self-discovery. While I struggled a bit with the strong spirituality side of the material, the insights into my personality and how I can better use my innate strengths definitely were worth the time to explore this work. If you want to learn more, especially if you are on your own self-discovery phase of the journey, check out Discover Your Spiritual Strengths by Dr. Richard P. Johnson.